Very rare 1986 Fleer Sluggers vs. Pitchers box bottom panel with 6 cards including Kirby Puckett, Harold Baines, Vince Coleman, Steve Carlton, Gary Carter and a New York Mets logo card. The Puckett, Carlton, Carter and Mets cards are HEAVILY CREASED; the Coleman card is slightly creased, Baines is not creased at all. 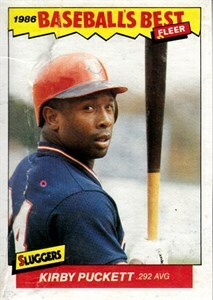 This is Puckett's RAREST FLEER CARD, PERIOD. 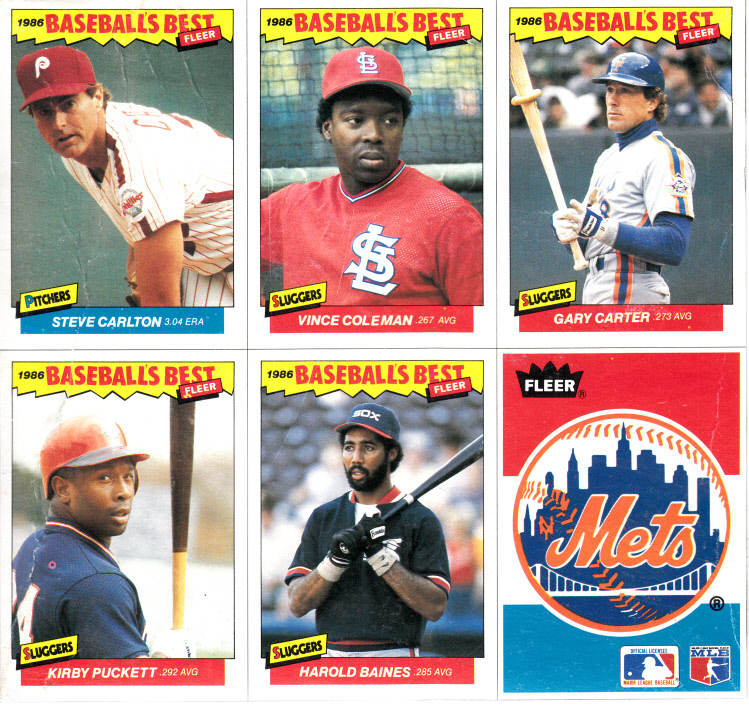 For every 24 regular 1986 Sluggers vs. Pitchers sets made, only ONE box was produced, and THE VAST MAJORITY WERE DISCARDED.